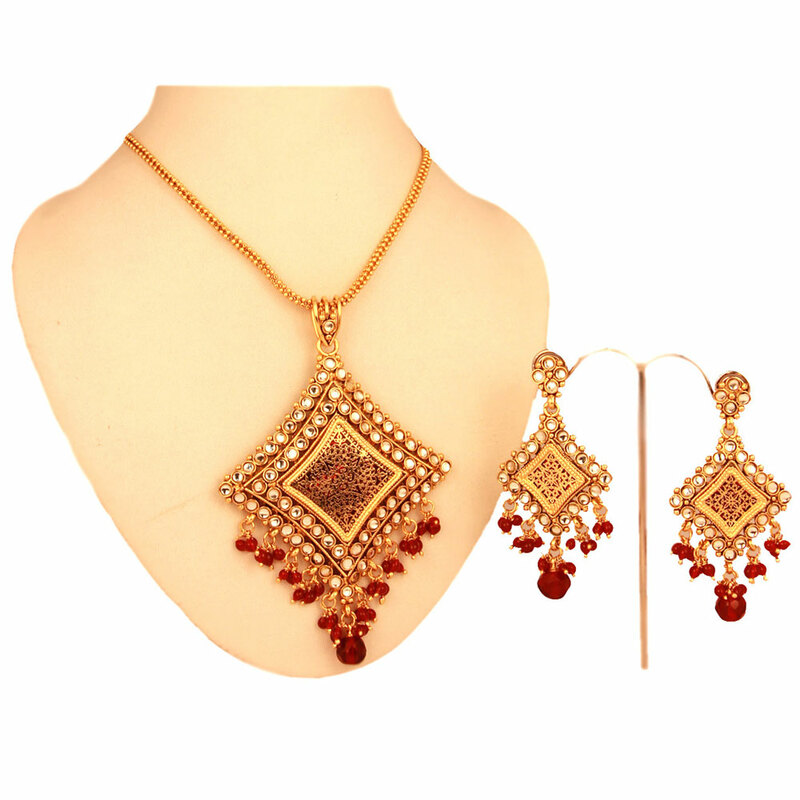 The most attracter of this jewelry set is unquestionably its vast diamond formed gold plated brass metal pendant that has been superbly embellished with good white stone and red hanging beads. The most attractive feature of this thewa necklace set is definitely its huge diamond shaped gold plated brass metal pendant that has been beautifully decorated Read More..with brilliant white stone and red hanging beads. The matching pair of earrings is a sized down but exact replica of this majestically designed pendant. Show Less..